Why L&D is your biggest talent attraction, capability and retention tool – Steal These Thoughts! I believe we need to look beyond L&D just being about building the capability of our people. Whilst it is most certainly responsible for enabling people to build the skills and behaviours they need to deliver for a business, it can do and does provide a lot more too. Let me unpack this in more detail for you. The impact that I’m suggesting L&D has is far beyond just building the capability of a workforce. I believe L&D have the ability to empower, challenge, attract and retain top talent for any business. I’ve been involved in all 3 areas of recruiting, developing and trying to retain talent over my career. What I’ve come to find in my time more specifically in L&D, is just how underutilised the opportunities that your learning offer can bring to the process of attracting talent and keeping it there are realised. My aim in this piece is to demonstrate how the HR or now commonly called people world is more connected than we think. Let’s explore all 3 of these areas to understand how L&D can support on each and how these areas can form a connected people experience to support the end to end process of talent management. Recruitment – we do cool stuff, wanna join us? Why will top talent want to come work with you? Yes of course money will be high on the list, benefits, the work and brand power no doubt, yet what else can we offer beyond this? A lot of businesses talk about the same standard package to their prospective candidates, so how do you stand out from the crowd? I find that more people want to know how they can grow in a business, how they can build and improve their skills, not just how much money they will make. This is where your learning offer comes in, many people move to new environments for a challenge that will push them, the opportunity to evolve and L&D can provide this in spades. Some of the common reasons why people leave their jobs (behind salary of course) is career progression. Many of us look for a new place of work to be part of new experiences that will allow us to develop the skills and behaviours we seek for our long term growth. When businesses talk with candidates, I believe they should be telling them more about what they can offer from an L&D perspective, aside from the money, the company car and bean bag chairs, your learning offer could sway the mind of a candidate to join you. If you feel you’ve built a world class learning offer that is leading the way in your industry, you should be shouting about it. This is especially true if your part of a business who may not have the ability to be competitive from a salary and benefits standpoint. Your learning offer and the opportunities it can bring always feels to be an underutilised tool to me. This of course is what many people associate L&D with and quite rightly it is the core function of our existence, to support people in growing their capability. We as learning professionals have the privilege in helping people the world over discover the joy of learning. It is in these opportunities to connect people with learning, that we can enable people to discover things within themselves that they may never believed was possible. In simple terms, we help people build their talent stack, the skills and behaviours to deal with the demands of work but also in navigating life. How we can help you evolve? Creating a world class learning offer is a big step in showcasing to people how they can grow with a business. If people are aware of the opportunities to learn in a business, act upon them and are seeing the benefits in all areas of life, then of course they will feel more comfortable in their working environment. I always feel many people and business leaders overlook the importance of L&D. They see it as a nice to have rather than a must have, a box ticking exercise that must be completed to comply with regulations, which is a real shame. As I mentioned earlier, some of the common reasons why people leave a business is around lack of development opportunities. A nice big salary, benefits and bonus package will only entertain you so far, the mind is built for challenges and when it does not find them, it will look for them elsewhere. I like to think of any organisations learning offer as the crown jewel of its HR function. Of course I’m biased in this, but as I’m trying to demonstrate in this piece, L&D has a wider affect on what I see as the connected human resources experience. A strong learning offer shows people that they can grow within that business. If people are engaged by the opportunities available to them already and can see the potential they could achieve within their business, it makes it that more difficult to consider looking anywhere else then where they are now. In summary, build awesome stuff, content of value that will help people grow and your top talent will want to stay. Retention – please don’t go! The ever flowing problem of retaining top talent is an ongoing battle for many organisations. We have so many choices in today’s world, so what can you do to stop people in your business being seduced by another organisation? Yes of course there is pay, the first thing everyone thinks about when trying to convince someone to stay is to throw more money at them. In some cases, this might work and it might be the source of the problem, yet money is not everything. They wish to be part of a bigger and/or more exciting project that appeals to their ambitions. They don’t feel that the opportunities to grow exist in the current business. They wish to learn how to do X as part of their long term career plans, but don’t think the business can support this. They’re sick of the place. Of course, I’m not suggesting that we in L&D can provide the solutions to all these problems. What we can do, is work with the wider business in developing and showcasing a learning offer that can support the needs of people. We can help show why the business is a great place to work for through the opportunities enable by L&D. I encourage people around me all the time to think beyond the salary and benefits package. Yes, these are important and I’m not saying you shouldn’t be seeking a package that is in your best lifestyle interests as that is a very important component of life. However, money is not everything and I’m sure we all know people who are earning large sums of money yet are miserable. In L&D, we have the power to show people what they could be missing out on if they decided to pursue pastures new, especially if a driving factor for leaving is focused on looking to develop their capability. A well designed, accessible and regularly communicated learning offer can most certainly make people think twice about the environment they wish to be part of. You could earn twice as much in another business, great, but does this business provide the same opportunities to grow as you do? Are these people just thinking short term, swayed by the thought of a pay bump which will disappear in the next few years. Everyone is different of course and I’m not suggesting that this is a one size fits all tactic as some people will always chase the money. But for those who seek personal and professional development, we have the opportunity to influence their decision to move on by showing what they could be missing out on. I truly believe if more businesses sat down with those whom are on the fence about leaving and showed them the L&D opportunities available, they might think twice. If you show these people how they could build a great career at your business then money may not be the factor anymore. L&D can contribute massively to keeping your best and brightest, our learning offer really is a vital tool in showing people why they should stay. My primary aim in this piece has been to not only demonstrate how valuable L&D is to any organisation, but how it is connected with all stages of the talent lifecycle. Connection is a big theme I’m exploring at the moment. My belief is that HR or people as it’s called in more places these days is one end to end connected experience. I feel too many organisations have a disconnected HR experience and this is just not helpful to your consumer (the people in your business) or for the teams who are delivering multiple projects in this world. If we not only in L&D, but in people functions in general spent more time focusing on building a connected experience for the people in our businesses, than I believe we would have more overall success. For those in L&D, we have the ability to influence the results of the talent lifecycle, but also to form a larger part of the overall people experience. I hope this has given you some food for thought, especially those whom are part of the L&D community like myself. We have the opportunity to support our business in much more than just ‘capability’ – we can contribute to building an amazing connected HR experience for everyone. Exploring the skills that L&D teams need in today’s world and some ideas on how you can build them too! The future is now, disruptive technology is everywhere but what can we do to make our skills more human to be relevant for the changing world? 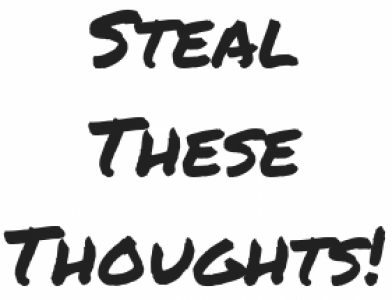 Pingback: What’s happening in L&D today – Steal These Thoughts!